Charene Griggs was born in South Africa. She graduated from the Tswane University of Technology with a National Diploma: Dance in 1995 and Baccalaurus Technologiae: Dance in 2008. 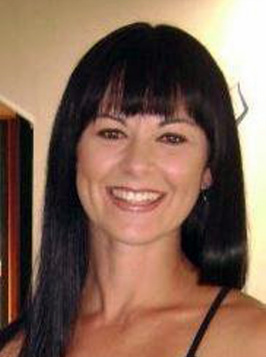 She was a member of the PACT DANCE COMPANY from 1995-1998, the STATE THEATRE DANCE COMPANY from 1998-2000 and a founder member, contemporary principal and rehearsal director of the SOUTH AFRICAN BALLET THEATRE from 2000-2004. She has worked with renowned international artists including Robert North ( London Contemporary Dance Theatre/Ballet Rambert), Ed Wubbe ( Scapino Ballet Rotterdam), Bebe Miller (Bebe Mille Company), Donald Byrd (Donald Byrd/The Group), Shapiro and Smith (Shapiro and Smith Dance), Shelley Sheer (Batcheva), Maggie Sietzma (Expressions Dance Company), Kenneth Greve (The Royal Danish Ballet) and Marie Brolin-Tani (MBT Dance Theatre). In 2004 Charene moved to Auckland, New Zealand where she joined Unitec School of Performing and Screen Arts in 2005 as a lecturer in Contemporary and Ballet techniques. In 2006 she was appointed as Program Director of the School and in 2007 accepted the position of Program Co-ordinator of the Dance Program. She has recently been appointed as Curriculum Leader of Dance. Her professional development includes working as rehearsal director for Michael Parmenter's Commotions Company during the production of TENT in 2008 and in 2009 she joined the Southern Lights Dance Company for 6 weeks performing in Shona McCullagh and Fleur de Thier’s works as part of the Body Festival in Christchurch.